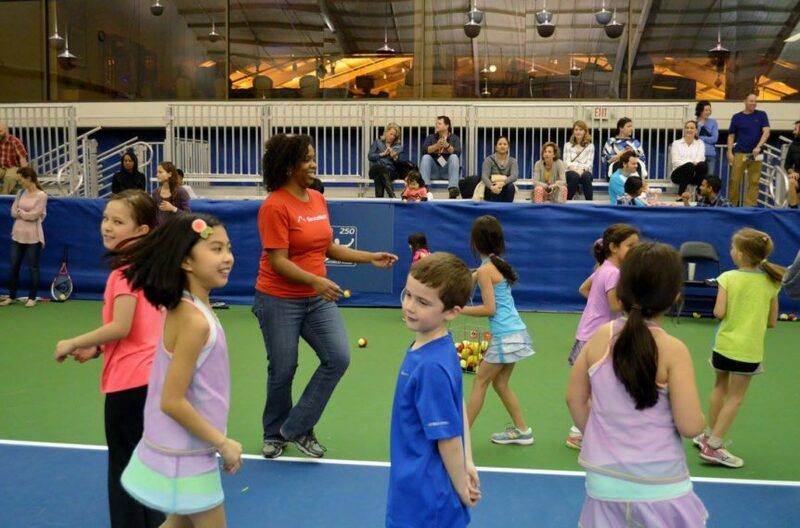 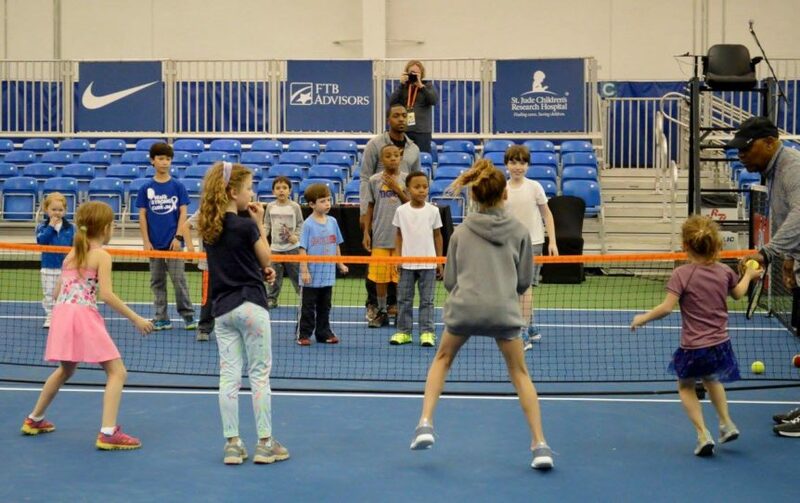 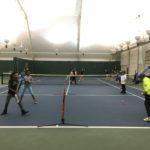 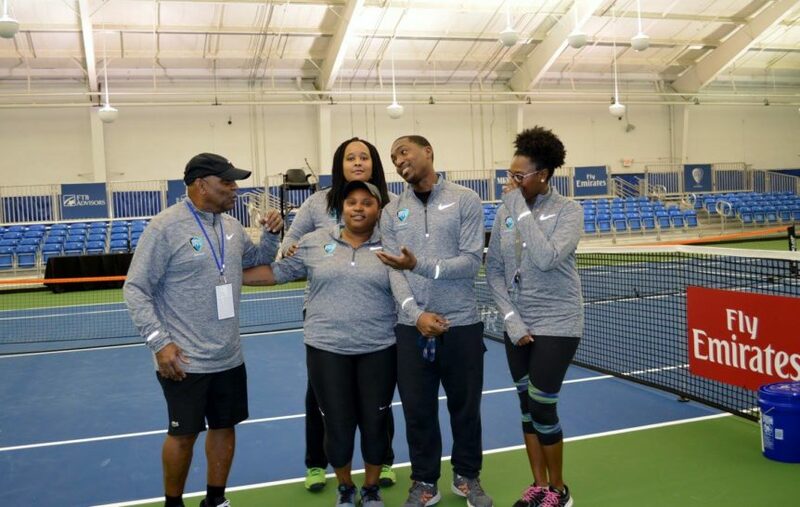 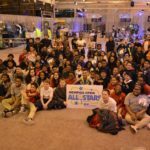 The Memphis Open All-Stars Program, presented by BlueCross BlueShield of Tennessee Health Foundation, is a health and fitness initiative started in 2014 with the goal of bringing tennis into Tennessee schools. 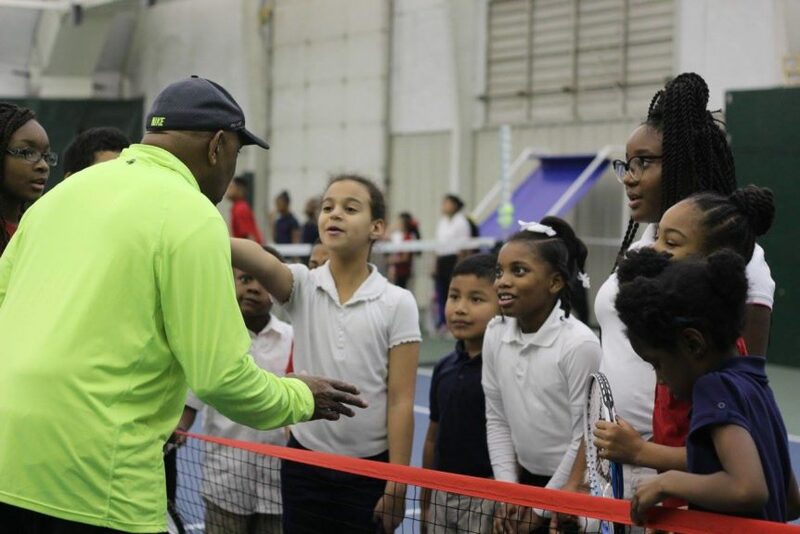 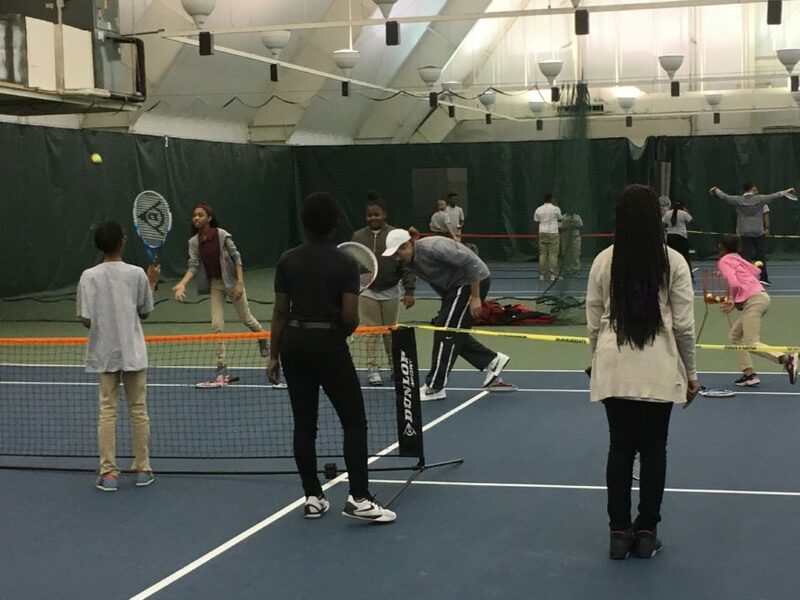 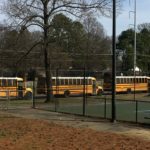 Through a partnership with Shelby County Schools and the Germantown Municipal School District, the Memphis Tennis Association, Tennis Memphis, Racquet Club of Memphis, and USTA TN, schools had the opportunity to participate in teacher training and implement tennis into their teaching curriculum. 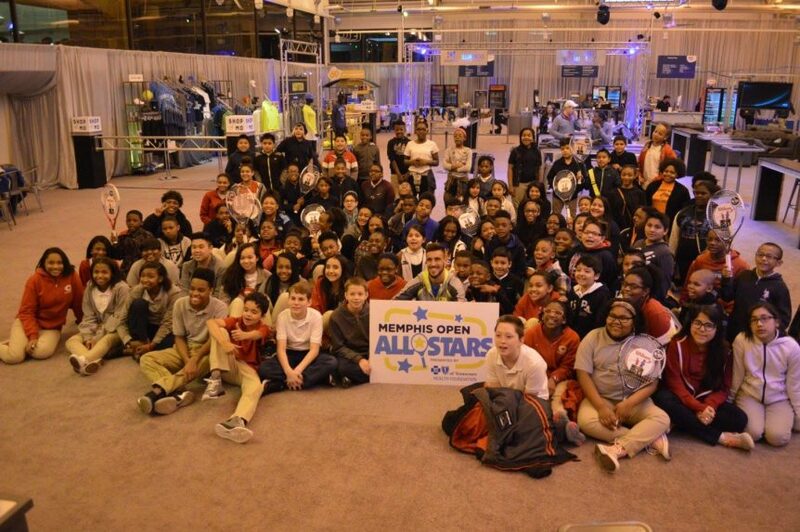 These schools were then eligible to apply to attend a field trip to the Memphis Open. 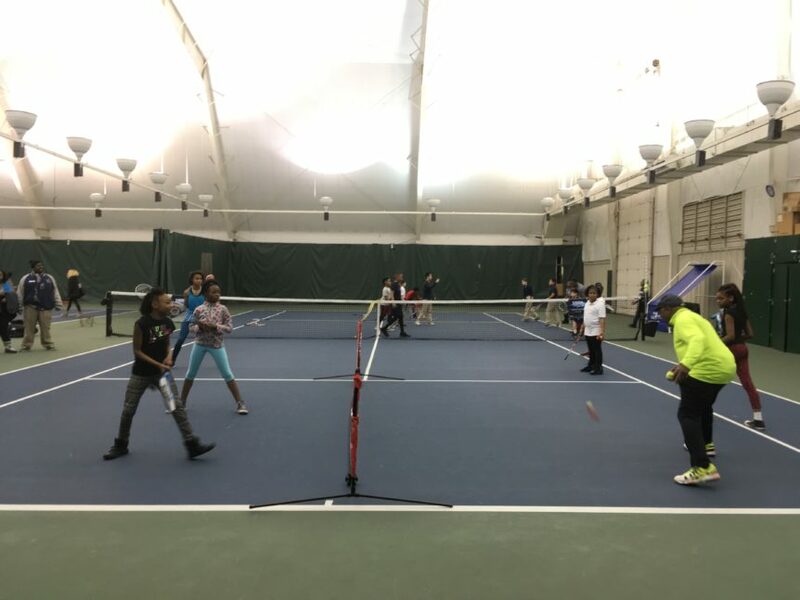 From February 13-17, participating schools began their field trip at Tennis Memphis’ Leftwich Tennis Center, where they enjoyed on-court games and instruction provided by teaching professionals from Tennis Memphis, the Racquet Club, and USTA TN’s Tyler Strong and Thomas Fanjoy. 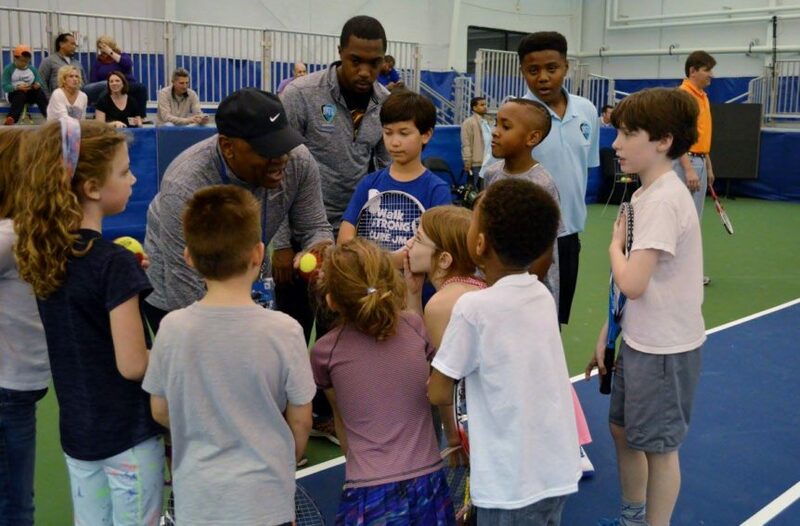 The second portion of the trip included a Q & A with an ATP professional player and a nutrition presentation from Tennis Memphis’ Coach Angela McGahee, along with lunch in the Stadium Court where they could watch the ATP professionals practice. 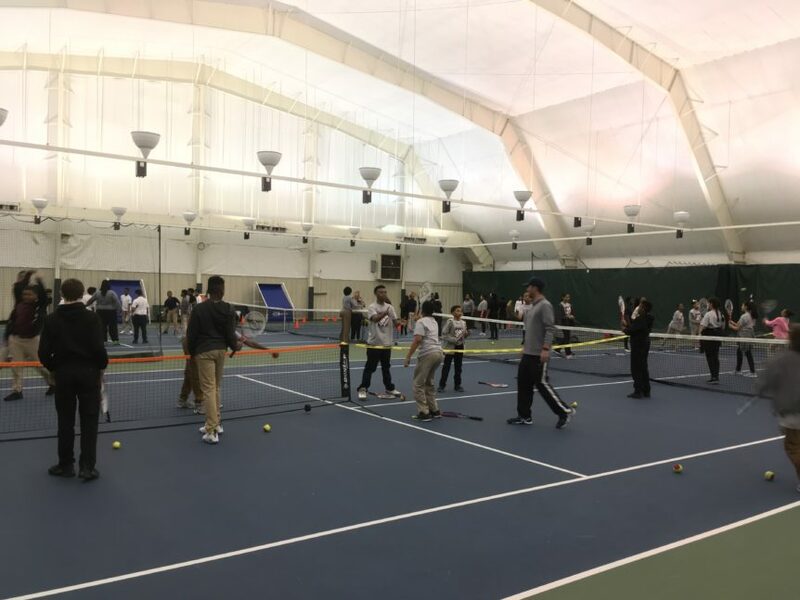 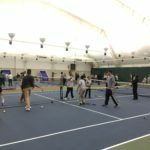 Close to 500 hundred students were provided the opportunity to experience both playing tennis and the thrill of professional tennis through this program. 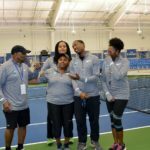 Participating students were also provided their own tennis racquet and participating schools received a permanent tennis kit through the generosity of BlueCross BlueShield of Tennessee Health Foundation. 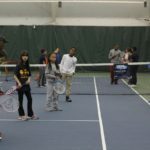 Tennis Memphis is proud to have partnered with this initiative by providing on the ground instruction and support to Physical Education teachers, teaching tennis in SCS schools, providing tennis professionals during the field trips for tennis instruction and nutrition education, and providing further tennis opportunities through after-school junior development at neighborhood tennis centers. 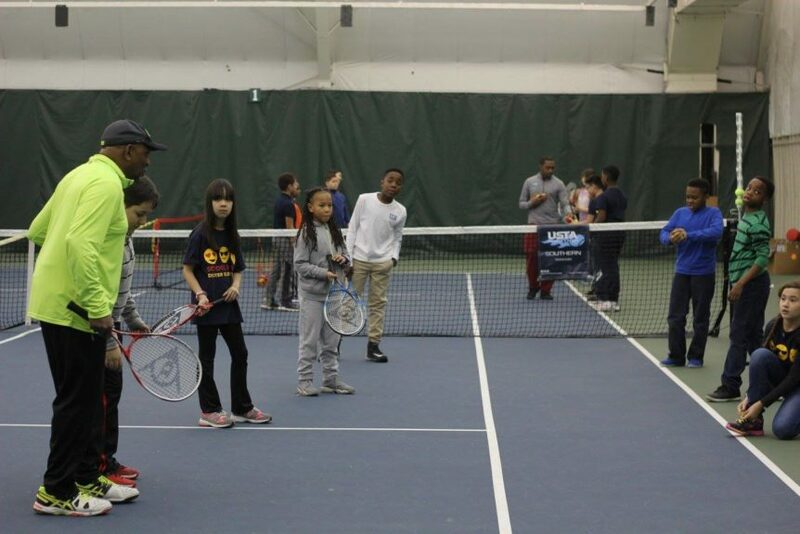 You can click here for a complete list of participants and to learn more about the program. 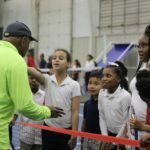 Please enjoy some photos from the week below! 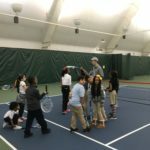 February 13-17, 75-80 SCS students from 4 different schools on each day began their field trip at Tennis Memphis’ Leftwich Tennis Center. 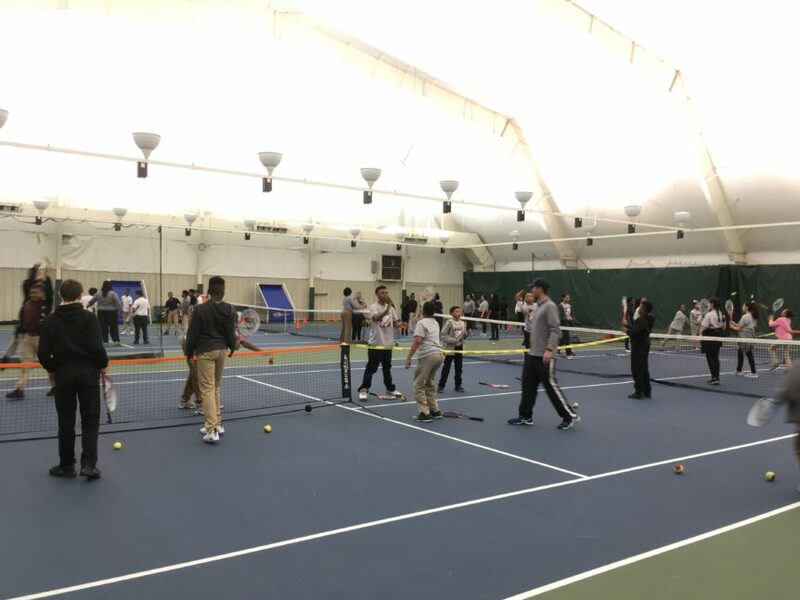 The students rotated in 10 minute segments between stations manned by tennis professionals from Tennis Memphis, the Racquet Club, and representatives from USTA TN. 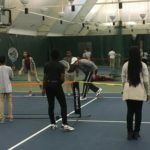 The 36 inch nets allow everyone to get in on the action! 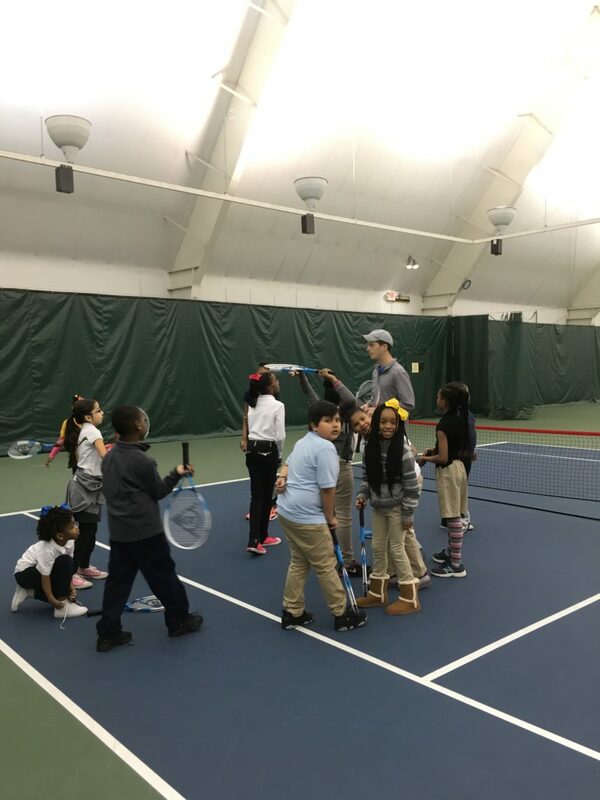 Thomas Fanjoy from USTA TN helps students with racquet skills. 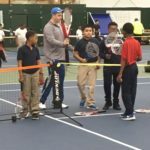 Memphis Tiger Louis Asser, working on rallying skills with students. 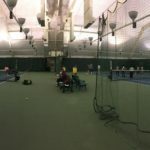 Racquet Club Tennis Professional Dan Singer, working on ralling skills.